Teton Construction Consultants specializes in the early, non-litigated resolution of contract issues that are unique to Federal contracts. We know the rules, speak the language and can find the pressure points to solve matters without costly legal fees. We troubleshoot, find solutions to minimize loss/risks and resolve issues for all types of Federal projects to include Fixed-Priced, IDIQ, Services, Multiple Award and Design-Build contracts. Our strength is in helping clients to strategize reasoned practical approaches to problems which typically expedite settlements, improve cash flow and allow personnel to focus on profitable project completion instead of claims or litigation. 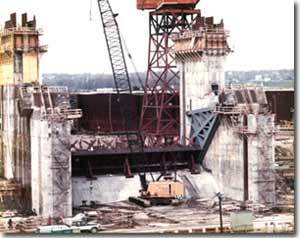 Initial work for contractors has often involved claims for recovery after the damage was done and positions were hardened. We strive to get actively involved in preventing claims and resolving disputes in the early stages when the issue or concern is first identified. By understanding the contractor's rights and the Government's obligations under the contract, we are often able to guide the client to low key, non-adversarial solutions based on the facts of the case and oriented for resolution at or below the Contracting Officer's level. Contractors find this proactive approach to be effective in maintaining good contractor-client relationships which is especially important in today's Federal "Best Value" procurements. Many clients have strong in-house contract administration and dispute resolution abilities but utilize Teton to sharpen these skills and obtain training for their personnel in the process. We also provide customized in-house training on Federal contracting and serve as facilitators in developing partnering workshops and relationships. Our success in serving clients is predicated on the 40+ years of Federal contracting experience of its founder, Stephen Forget. His philosophy of "prompt issue identification and resolution" is implemented by contracting professionals that have a strong working knowledge of Federal contract law and an insider's perspective of Federal procurement policy. The fee structure is flexible and typically oriented toward resolution with attendant reward. What we do, we do well. By focusing on the non-litigated resolution of Federal contract issues we provide our clients what they want---timely, cost effective solutions that limit exposure and maximize profit. Please review this web site to learn more about Teton and click on "Contact Us" to obtain more information or to ask specific questions.